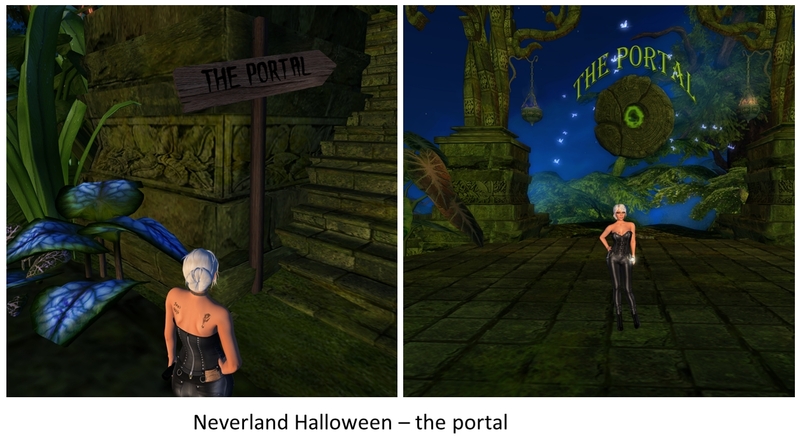 Tuesday, October 11th, I continued exploring Neverland on foot trying to find the way to “The Portal”, which I saw already when I did the boat tour. This time it was more “Holloween-ish”. I had to pick up a flashlight and to enter mazes, where I came across large spiders, ghosts, strange creatures and stumbled over some skeletons. In addition the sound was scaring (as it should be!). Yet also when you explore on foot Neverland is very colourful, the colours are just overwhelming and in hard contrast to the dead bodies, skeletons and other scary elements around. I for sure missed out a lot of surprises as I found the way to “The Portal” and the pavilion quite quickly. But I got a good impression about about Neverland and might visit is again together with Jenny before October, 31st. 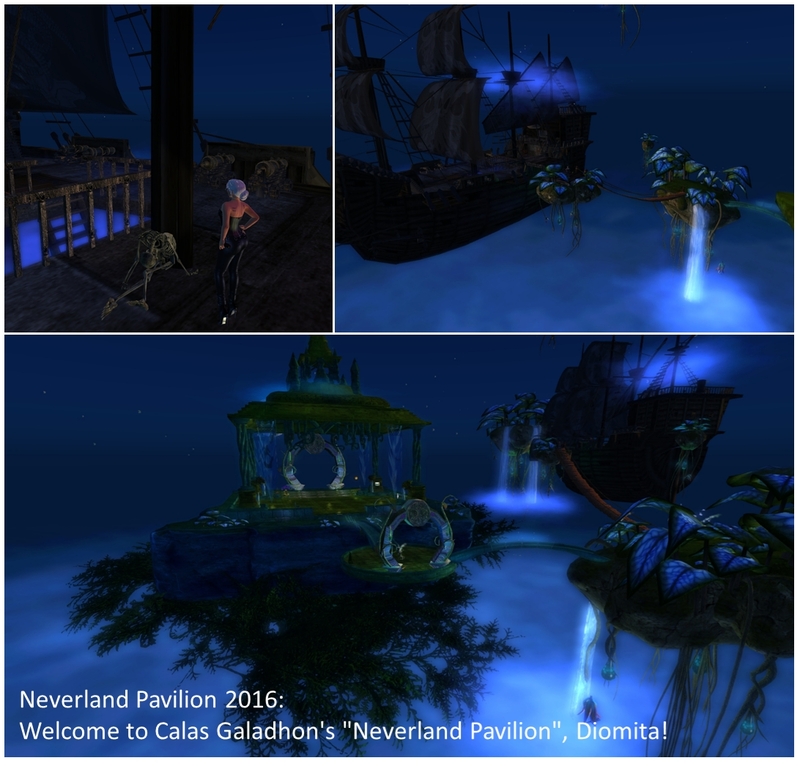 You enter the pavillion over a large sailing ship, again populated by skeletons. Then you walk over suspension bridges from one rock to the other to the pavilion, a large event and dancing area. Unfortunately we might not be able to attend any of the events as they all are at 7 PM PST, so we Europeans will be left out (at least this year). Nonetheless I add a picture of the event time table for those who can’t sleep or are in living in or close to PST timezone.